Is Julian Assange a journalist? The US Justice Department sidestepped that question in its indictment of Assange. But his case is still certain to stir a debate about whether the WikiLeaks founder deserves protection under the First Amendment. Assange was arrested in London on Thursday, as US prosecutors unsealed an indictment accusing him of conspiring with Chelsea Manning to hack a Pentagon computer in 2010 to obtain secret documents that WikiLeaks hoped to publish. The indictment focuses on Assange’s alleged attempt to help Manning crack a password and gain special “administrative-level privileges,” an effort that proved unsuccessful. But the underlying “purpose and object of the conspiracy” was “so that WikiLeaks could publicly disseminate the information on its website,” prosecutors said. Assange’s supporters describe his arrest and proposed extradition to America as an attack on press freedom. But there’s some skepticism about that claim, even from several of the country’s most prominent defenders of the First Amendment. Assange’s information-dumping actions make some First Amendment lawyers queasy. “There is a fundamental difference between someone who shines a spotlight on classified information and someone who turns on all the lights,” said David Kendall, who represented President Clinton during his impeachment hearings and Hillary Clinton during the 2016 email investigation. Lincoln Caplan, a Yale Law scholar who has written widely about journalism, said in an interview that there’s an important distinction between “curating” information, as reporters do, and “dumping” it, as has often been WikiLeaks’ practice. An intriguing footnote to the Assange case is that as part of a failed plea-bargain negotiation with the Justice Department in 2017, he offered to help vet some highly classified CIA files that WikiLeaks was publishing in a document dump known as “Vault 7.” As I wrote last September, this “risk mitigation” discussion collapsed after WikiLeaks revealed some especially sensitive CIA hacking techniques. Assange could argue that the 2017 offer showed that he was sensitive to national-security concerns. Similarly, he could point to his cooperation with the New York Times and other news organizations that edited and vetted WikiLeaks files before publication. Complicating this case is WikiLeaks’ role in disseminating documents hacked by Russian intelligence from Democrats during the 2016 presidential campaign, in which Assange appeared to be a tool of Russian meddling to support Donald Trump. Assange wants to fight his case under the banner of press freedom. His problem is that the Justice Department has drawn its indictment carefully enough that the issue is theft of secrets, rather than their publication. That’s why so many press advocates seemed to be distancing themselves from Assange after the news broke Thursday. 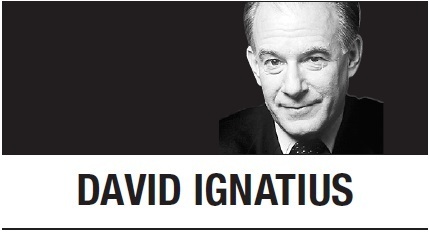 Follow David Ignatius on Twitter: @IgnatiusPost -- Ed.